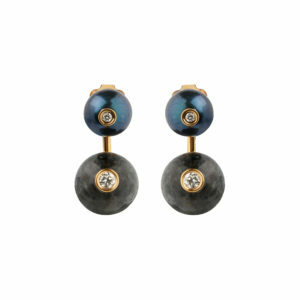 Bold and beautiful, the Orbit Earrings are one of the designer’s iconic pieces from the For King and Country collection. 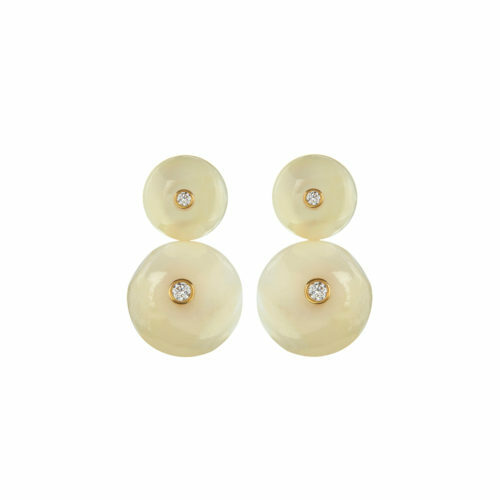 Set with stunning, opalescent mother-of-pearl beads, each capped with white diamonds, the distinct wow-factor lies in their unique wearability. 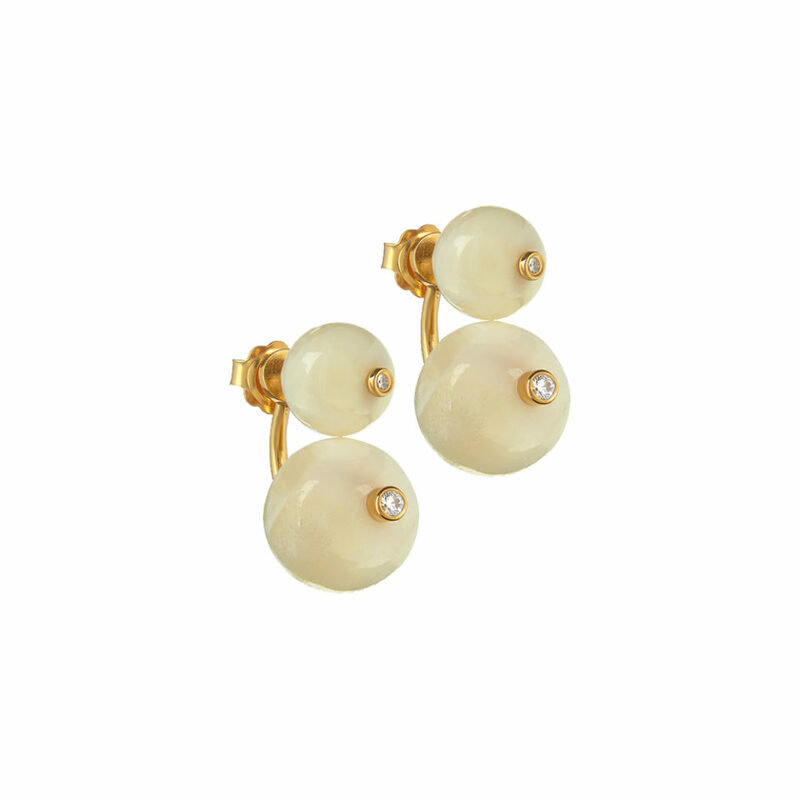 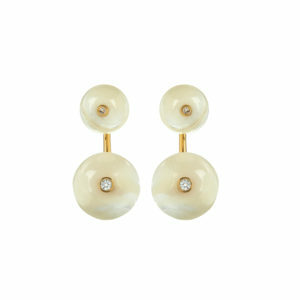 They can be worn with or without the lower bead ear-jacket, or mix and matched with other Orbit Earrings from the series.